Getting great skin is like raising a child; you need equal doses of discipline and TLC. 1.) Massage – Unless your skin is acne prone or very sensitive, massaging with the products you use to “nurture” your skin (think moisturizers, serums and Cleansing Oils! ), is a form of exfoliation. Forehead… Begin in the middle of the forehead making small circular movements out towards the temples. Repeat 5 times. Eyes… From your temples, glide your index fingers over your brow and circle your eye sockets. The pressure should be very light. Repeat twice. Nose… Slide your fingers down each side of your nose to the tip and up again. Repeat 5 times. End at the top of the mouth. Mouth… Use your index and middle fingers and start at the chin, gently massage in a circular and upward motion around the mouth and lips. Bring the massage motion to the top of the mouth, under the nostrils. Repeat 5 times. Cheeks… In a circular motion, massage outward from your chin to your earlobes, from the corners of your mouth to the middle of your ears and from your nostrils to your temples. Repeat twice, covering the whole area of the cheek. Chin… Begin on your right where the jaw meets your ear. Using your thumb and index finger, gently slide across the jaw to your chin. Massage back to the starting point with circular motions. Repeat on the left side. Repeat 3 times each side. Neck… Beginning at the back of the neck, massage upwards to the head with small circular motions. Repeat 5 times. Come around to the front of the neck and gently stroke upwards from the collarbone to the base of the chin. Repeat 3 times. AHAs have been used for thousands of years, Cleopatra was said to have bathed in sour milk (lactic acid) to improve her skin tone. They are typically derived from food products. Don’t let the word acid throw you off. They are classified scientifically as acids, because of their ability to penetrate the skin. They dissolve the “glue” that holds the superficial layers of the skin together. You’ll find AHAs in the Isles of Beauty, in skincare clinics or prescribed by doctors in the form of moisturizers, cleansers, serums and masks. You can use them at home or have professional treatments. I like Tu’els Glyco-A Gel and Crystal C Serum; they have multiple AHA’s to exfoliate, brighten, strengthen, as well as calm the complexion. 3. Scrubs – This family of exfoliants clean up dead skin cells on the skin’s surface. I like Tu’el Peeling Cream a manual microdermabrasion product. Be careful with this family of products though; use sparingly and massage lightly – more is not better. 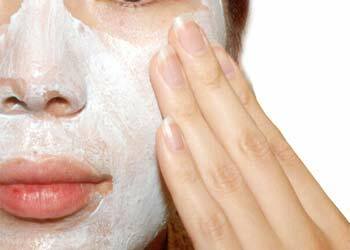 Exfoliation can be done up to 5 times per week, or until the skin manifests the desired effects. Use different forms of exfoliation, give your skin “time off” and don’t use the same products for prolonged periods – results diminish. All exfoliants stimulate new cell growth deep in the skin, but they also create free radicals and break the skin down. A word of caution – don’t use resurfacers or get peels unless you are willing to use an appropriate sunscreen religiously,as well as a nurturing regime to combat the challenges resurfacing presents to the skin. Most of this post is applicable for “normal skin”. People with clinical grade acne, history of melanoma, extreme sensitivity, any skin disease like rosacea, or those who are under the care of a physician should consult a professional and proceed with caution. Moisturizers, antioxidant serums, soothing masks, and peptides are a few of the nurturing products that are necessary when you are serious about caring for your skin. Get a plan for loving the skin your in.